Scissors are a great thing to include as part of the school supplies or a tool/sewing kit in our Operation Christmas Child shoeboxes. (Disclosure: post contains affiliate links & I will be compensated if you make a purchase after clicking on them) When MDSupplies & Service's special Shoebox Shoppers order form was first offered, I thought of it just for hygiene cases, but there are also other items including scissors! If you're unfamiliar with MDSupplies & Services, they have helpfully made for us who pack for Operation Christmas Child shoeboxes a special order form of just items that can go in OCC shoeboxes...plus it has FREE SHIPPING!!! 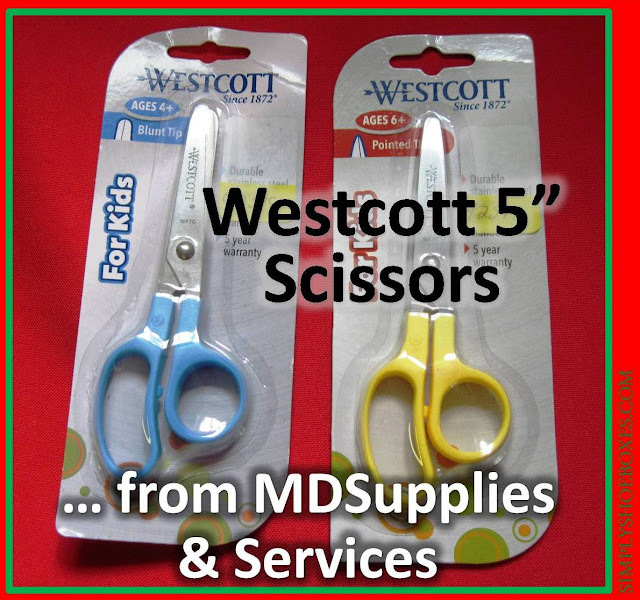 Now to review the scissors, there are two different kinds to pick from: Kids 5" Pointed Scissors, Bulk (42515) and Kids 5" Blunt Scissors, Bulk (42516). They are pretty much the same other than the tips, so I'll review them together. If you pack a large number of boxes, this may be the option for you. You buy them in cases of 700 for $525, which works out to $0.75 a piece. I thought it cut them all just fine. Obviously the cardboard was harder to cut, but certainly reasonable. I was actually pleasantly surprised at how well it cut the fabric. 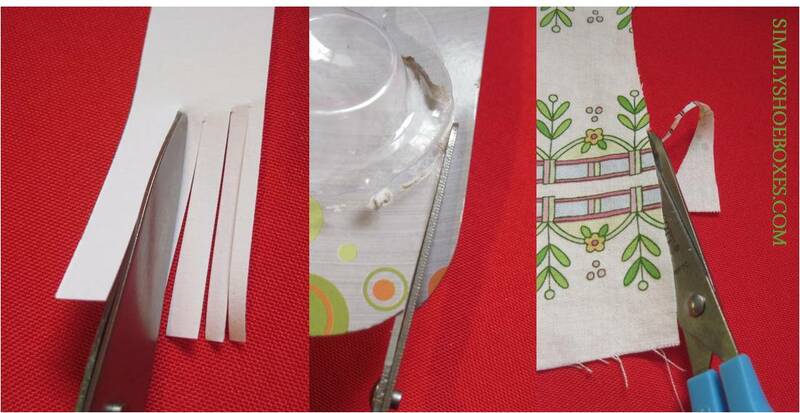 Obviously, with the shorter blade it's not a true pair of fabric scissors, but certainly usable in a sewing kit! The one downside to the scissors is their handles are rather small, but usable, and wouldn't be as big a deal for children as to me as an adult. I hope this review helps someone...if you have any further questions, please just ask and you may want to check out the rest of my MD Supplies & Services Reviews for items appropriate for packing in Operation Christmas Child shoeboxes. Disclaimer: I received these products free to review, but the opinions are all my own. Links in this post to MDSupplies & Services are affiliate links and I will be compensated if you make a purchase after clicking on my links. We don't often pack many Operation Christmas Child shoeboxes for girls age 5-9, because that's the group that gets the most boxes packed for it, but this year we did pack a few, and here's one my sister packed. You can see lots of handmade goodies in this one that others shared with us! 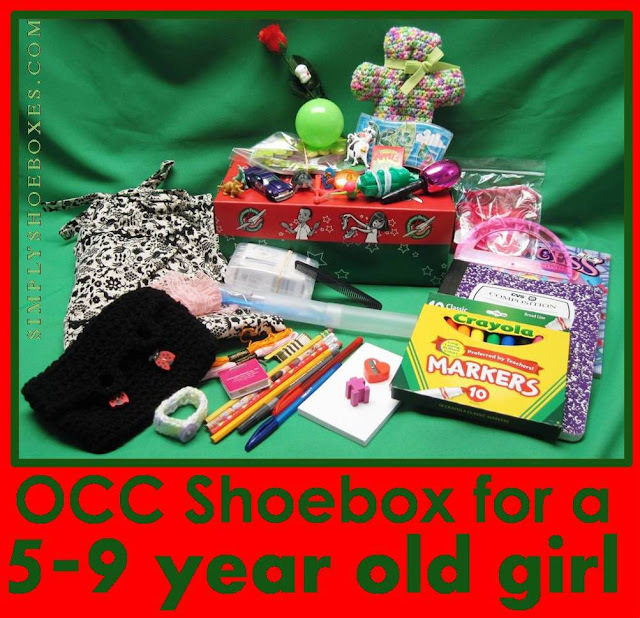 If you'd like ideas for other ages be sure to check out my posts on OCC shoeboxes from this year for: Girl 2-4, Boy 2-4, Boy 5-9, Girl 10-14, & Boy 10-14 (will be updated with links as I post those boxes, until I do, here's a link to all the shoebox examples posts). 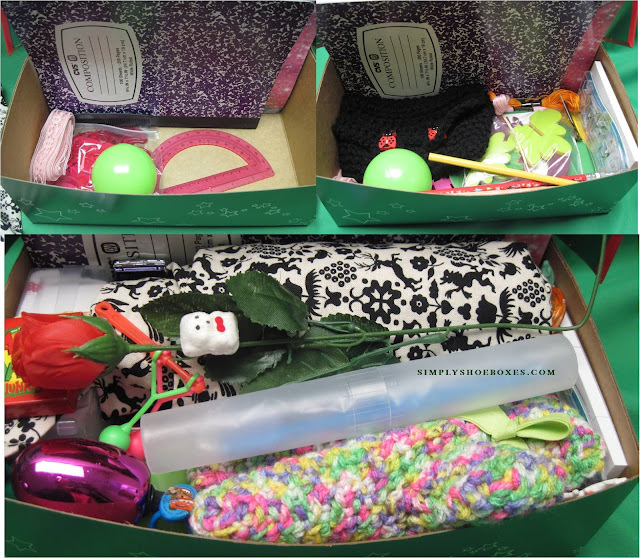 Here are more examples of 5- 9 girl boxes we've packed. You can earn money while saving it on all your big Cyber Monday purchases, or small things you're picking up for shoeboxes! 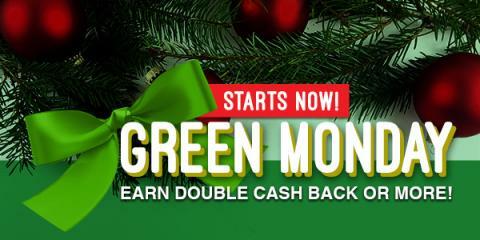 The Cashback Shopping site Swagbucks is offering big cash back - 3x or more - at over 120 different stores today only. They're also offering big payouts on a varieties of different deals and offers from companies that would make great gift ideas, also ones that are good for stocking up for shoeboxes like Amazon. Get great deals without waiting in lines or even leaving your home! If you're not familiar with Swagbucks, they offer cash back in the form of points when you shop. Then you can turn those points into gift cards to places like Amazon, Starbucks, or PayPal cash. You can also earn points for discovering deals, watching videos, answering surveys and more! This is great for getting some extra money to spend on shoeboxes! Click here to take advantage of the cash back, just create your Swagbucks account when prompted (it takes less than 30 seconds) and then you're all set! Disclosure: Links in this post are my personal referral links. I also earned Swagbucks for sharing this post, but all opinions are my own. I stopped at Office Depot on the way home from church and found a good deal on pencils, so thought I'd share to help others maybe get it. These 12 packs were 43 cents. You can check UPC 735854906979 or Item # 425-164 at BrickSeek to get an idea of their probable price and availability at your local store. These are one of the brands of pencils we checked in our pencil review post. It was 23 cents, you can see the from the above photo, the UPC is 735854027100 if you want to check BrickSeek. The best part is we were able to use Office Depot rewards for things we'd bought earlier in the year and turning in used ink cartridges. My week of shopping for Operation Christmas Child shoeboxes started on the way home from church, I stopped at a Dollar General to pick up a Thanksgiving card for my great aunt, and found a good deal on some clothes, 30 or 60 cents. Later in the week, I saw about a deal on shoes at Dollar General, so my sister and I stopped after volunteering at the local drop-off center. We got a good number of originally $5-$10 shoes for 10 or 20 cents. Was excited to get a start on next year's shoeboxes...although if you saw my post earlier this week about one more shoebox, you'll know they didn't all get saved for next year-haha! Later in the day we were able to run by a couple more stores and find some more. My Dad is pretty much set for shoes for his 10-14 boy boxes. Then our order from Amazon for harmonicas came in. I'd seen someone recommend them, and they seem nice and colorful. What do you do when you realize your church is going to drop off 499 Operation Christmas Child shoeboxes at drop-off centers during collection week? Well, if you're really into organization/evenness you and your sister pack one more the night before you go to volunteer at a drop-off center to make it an even 500! Thankfully we had some extras left from last year, plus some things we'd started picking up for next year, it worked out just fine packing from our shoebox stockpile. We went through our packing list and were able to get things from all categories, and end up with a nice, full, fun box...I like every box to be great, and I feel it lived up to our standards, even though it wasn't planned! This shoebox ended up being for a 5-9 boy so we could use the water shoes we'd got at Dollar General this week for $0.10. Check out other 5-9 boy boxes we've packed! If you left all the items above in their packaging, they'd fill the giant silver boot box...which is a bit too big! I'm not even sure the big box would fit in the shipping carton. While our shoeboxes for Operation Christmas Child are pretty much packed for this year, I'm already getting started preparing for next year, so I took advantage of Dollar General's Buy 1 Get 1 Free Hotwheels/Matchbox deal. Not as good as B1G2 last year, so I didn't buy too many in case they do that deal, later. I bought 30, enough to use the $3 off $15 coupon I'd gotten for taking a survey...but for some reason it only took $1.94 off...still a savings. I tried to pick as many different kinds as possible, also colorful ones. I got some samples from MDSupplies & Service's special Shoebox Packer's order form. I've been doing some reviews (you can check them out here) of their products, and any extras left over after I test them, I've been able to include in my boxes. We'll start using the toothbrushes soon. As you may have seen on my other toothbrush reviews, I like to try them a while to see how they hold up. I picked up this board book for a 2-4 box. I'm planning a peacock themed box next year, so was excited to find this mask on clearance! It also got me the survey I took for the $3/$15 I mentioned earlier. I found an $1 off 2 packs of Dial coupon in a newspaper insert, so I used it at Dollar Tree to get 6 bars of soap for $1! 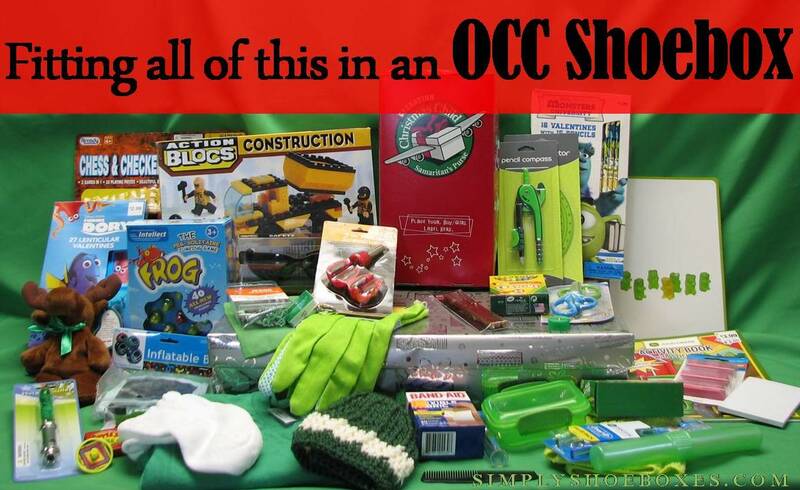 We often find it convenient to shop online for our Operation Christmas Child shoeboxes as well as for ourselves. By going thru a cash-back site we can have more money to pack more shoeboxes. One of the places we use is Swagbucks. 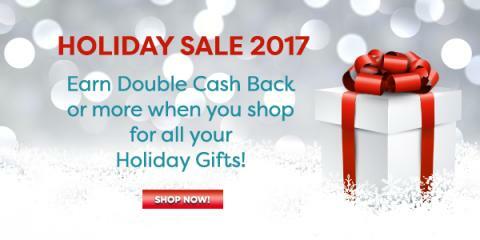 A current promotion at Swagbucks is their offering of double cash back at dozens of different stores (like Macy's, Kohls and Ebay) during their 2017 Holiday Sale. Just go to this page to see all of the deals available and get the jump on your holiday shopping while earning cash back for shoebox packing (or shipping). Sarah has done such a great job shopping the last couple of years for our shoeboxes that we have packed more than expected. If this is to continue for the 2018 Operation Christmas Child shoebox packing year I need to get my crafting in full gear! I decided to try to get super organized so I can sew hundreds of things for our shoeboxes for 2018. Thankfully I have 85% of what I need to craft with. I will need to buy some supplies, but I have a big chunk of it on hand. My 2 to 4 year old OCC shoeobxes awaiting rubber bands. We got some great donations this week! First some great dresses to finish up our 2-4 girl boxes! Then some friends were cleaning out some of their stash and we got some fun stuff-trim, and some organza bags that we'd just been saying we needed! First hats Elizabeth has made towards the 200 shoebox packing party. She uses Aunt Ida's hat pattern from Joy with Purpose.